There are more than 220 trains running both ways on the Guangzhou – Shenzhen route, 205 of them are high-speed trains. After high-speed train service began on this route, the travel time between the two cities has been shortened from 3 hours to only 29 minutes. Trains run frequently from 06:00 to 23:00, which makes it very easy to fit your schedule. G-category high-speed trains run between Guangzhou South/Guangzhou North and Shenzhen North railway stations. C-category intercity high-speed trains run between Guangzhou/Guangzhou East and Shenzhen railway stations, which are closer to the city center. 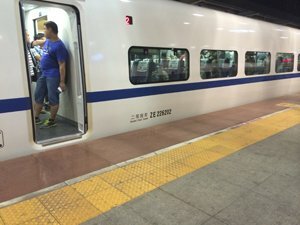 Apart from high-speed trains, there are 23 pairs of ordinary trains running between Guangzhou/Guangzhou East and Shenzhen/Shenzhen West/Shenzhen East stations. 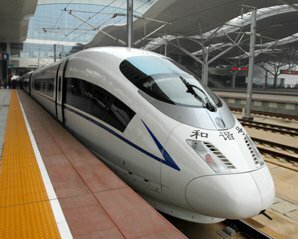 Check the Shenzhen to Guangzhou up-to-date high-speed train schedules. Guangzhou – Shenzhen high-speed trains operate at different train stations in both cities. Please double check the departure/arrival train station information before you purchase tickets. Choose a train station that is close to your hotel would be more convenient. 1. In Guangzhou, high-speed G trains operate at Guangzhou South and Guangzhou North railway stations, which are a long way from the city center. Intercity C trains operate at Guangzhou and Guangzhou East railway stations, both are located in downtown. 2. In Shenzhen, high-speed G trains operate at Shenzhen North Railway Station, which is about 1 hour&apos;s drive from the city center. Intercity C trains operate at Shenzhen Railway Station, which is located at the city center and right beside the Luohu Port to Hong Kong. 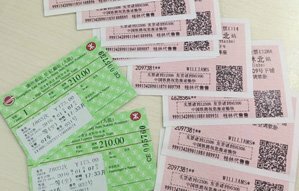 Use the search box at the top right of this page for the real-time train schedule, or search on China Highlights Train Ticket Service. Please note: G-category trains have business-class, first-class and second-class seats. C-category trains have first and second classes. Business class is not available on C-category trains. There are several train stations in large cities like Guangzhou and Shenzhen. Each one is far away from the other. Please make sure you go to the right station for your train. All the train stations in Guangzhou and Shenzhen are connected to subway network, thus easy to get to the other parts of the cities. Guangzhou South Station is modern and airport-like and is one of the largest railway stations in China. All of the G category Guangzhou – Shenzhen trains depart from this station. It is also the terminus of Guangzhou – Shenzhen – Hong Kong Express Rail Link, Guangzhou – Beijing High-Speed Railway and Guangzhou – Shanghai High-Speed Railway. 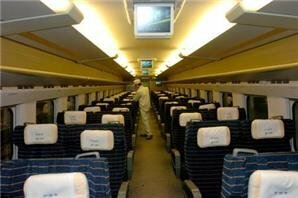 It also serves Guangzhou – Guilin bullet trains and Guangzhou – Guiyang bullet trains. Conveniently located in downtown, Guangzhou Railway Station is also one of the busiest stations in China. Some of the C-category Guangzhou – Shenzhen trains depart from here. Overnight trains from Guangzhou to Beijing and Shanghai are also depart from this station. Guangzhou Railway Station can easily reach this station by subway, taxi or bus. Guangzhou East Railway Station is the station for Guangzhou – Hong Kong normal-speed trains and some of the C-category Guangzhou – Shenzhen trains. 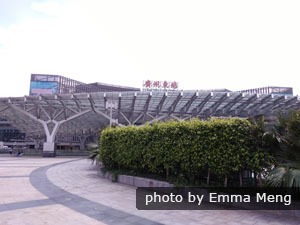 See our detailed transportation guide for Guangzhou East Railway Station. Remote from the city center, Guangzhou North Station serves some of the Guangzhou – Shenzhen C-category trains. This train station has been incorporated into renovation plan. It is expected to connect to Beijing – Guangzhou and Wuhan – Guangzhou railways in the future. The newly-built and airport-like Shenzhen North Station serves all the G category Shenzhen – Guangzhou trains. It is a bit far away from the city center, but can be easily reached by taxi, subway and bus. 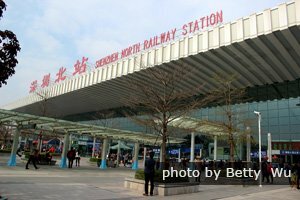 See our transportation guide for Shenzhen North Railway Station. Futian Railway Station is located in the southern district of Shenzhen, a bit far from the city center. It was the largest underground railway station in China, before being surpassed by Hong Kong West Kowloon Railway. Some of the G trains depart from and arrive at Futian Station. Most of them also stop at Shenzhen North Station. 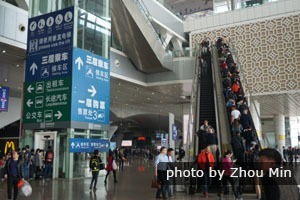 See our transportation guide for Futian Railway Station. 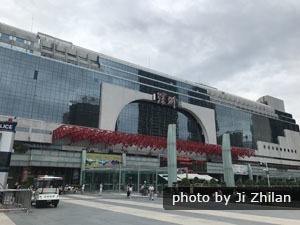 Located in the city center, Shenzhen Railway Station is just beside Luohu Port, convenient for passengers who need to go to Hong Kong. Some of the C-category Shenzhen – Guangzhou bullet trains depart from here.